Em Stafrace| Just a Girl with Ideas: HE IS A GOOF! 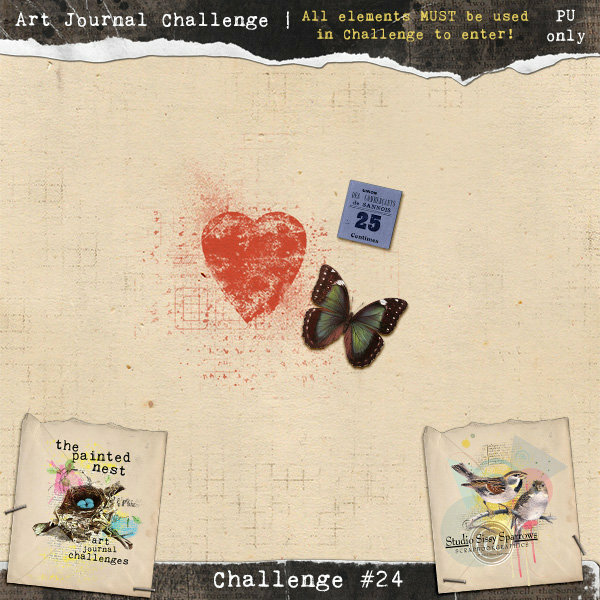 I haven't had much time to do any 'just because' scrapbooking lately, its all been commission work and DT stuff but I managed to have a play with Pink Reptile Designs current Blog Challenge which is a Scrap lift theme and ends March 15th. I first discovered PRD when I was on the Digital Team with Scrapbook News and Reviews Magazine a few years back and we road tested a collaborative kit between PRD and Studio 68 called Bloopers. I have a few PRD kits in my stash so it was fun to get them out and have a play. 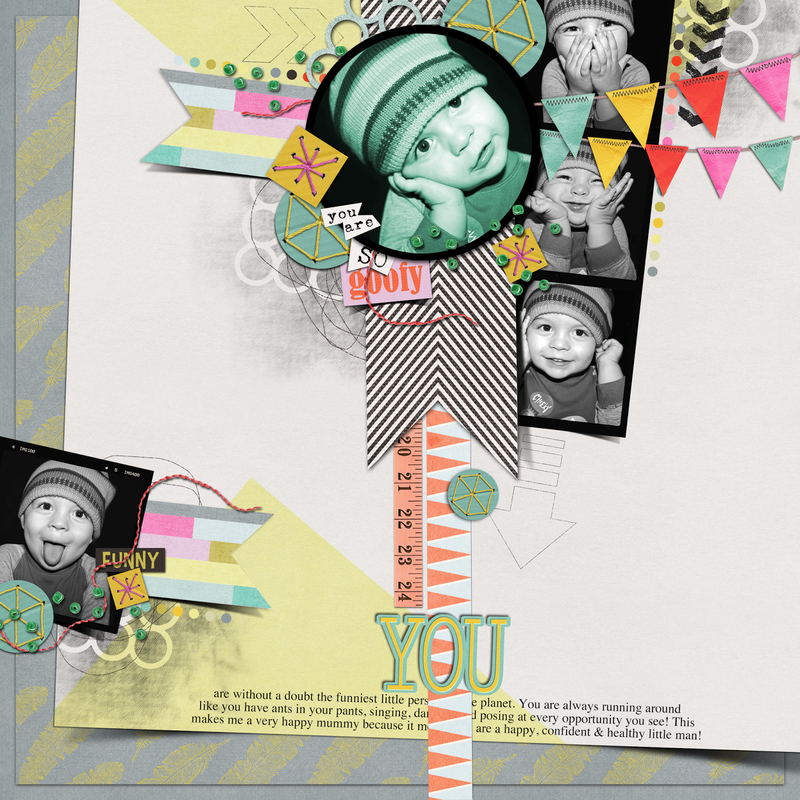 The challenge is to lift a layout of your choice from the PRD facebook Album Rain or Shine. You could scrap about anything you want so long as you use at least 75% Pink Reptile Designs products. Easy peasy... and to top it all off Mirjam is offering an amazing discount coupon for 40% off the Rain and Shine Kit if you wanted to use that one in your page entry. You have until the 14th of March to take advantage of that awesome offer so grab yourself a bargain! 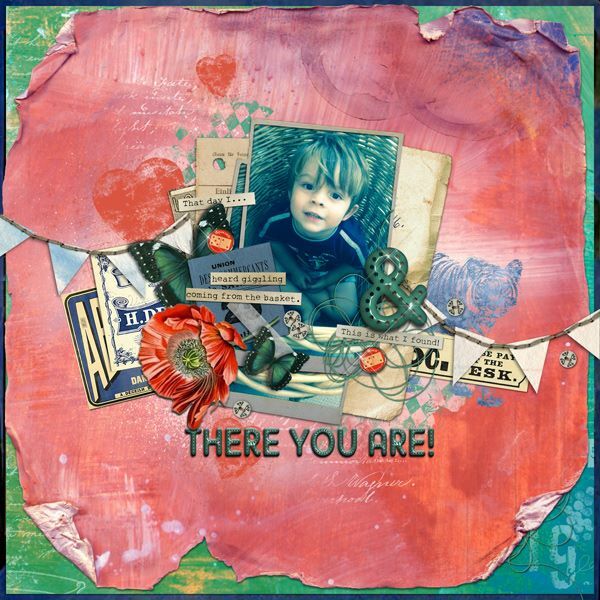 I used this gorgeous page by Courtney as my basis for the scraplift. I rotated it to the right and added my own spin on the original design. So if your keen for a digi challenge check out PRD's current one over at their blog. 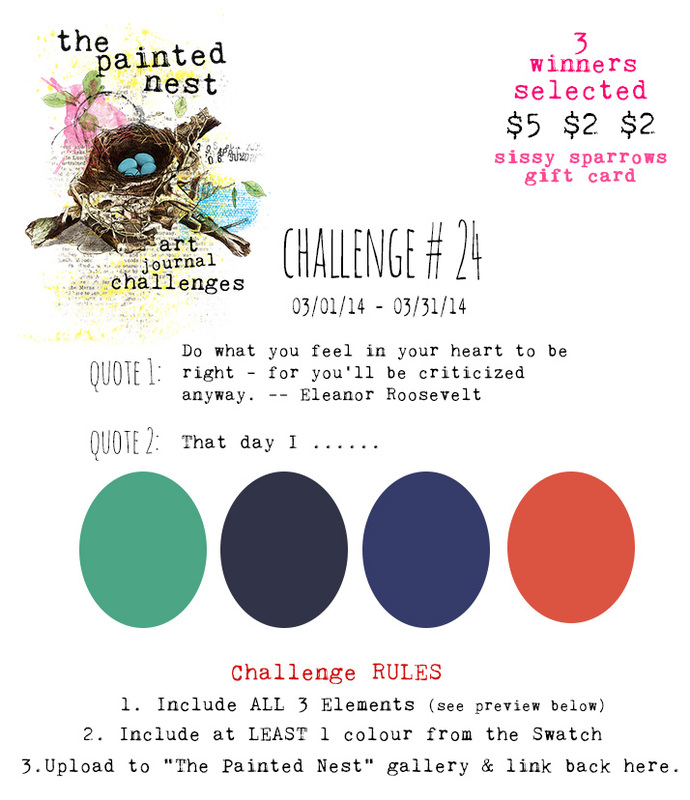 Lastly The Painted Nest Monthly challenge by Sissy Sparrows over at Scrapbook Graphics. Here is the LINK and if you click the image below it will take you to the free download, gotta be happy with that! Okay time to scoot off to the post office a parcel awaits with lots of delicious rubber stamps which I'll be posting all about soon, so keep your eye out for that and some hybrid pages...OMG I know its been yonks since I grabbed the scissors and glue so am keen to get all messy....stay tuned! Oh wow I am in awe of these pages, they look so dimensional, and I love the photos you have used too.. fabulousness!! LOVE these layouts! What adorable photos! Always love to see how you mix elements. Super! Simply awesome! LOVE what you've done here. Your little guy is just soooooooooo precious! Oh how cute! I so love seeing these pages based on your little guy...I have a little man in training myself--so I look to see how you interpret your pages as a form of inspiration. My fave is 'You Are So Goofy'...that one just put a big ol' smile on my face! Loveeeeee!!!! Oh I adore that first layout! What a stunner! And I really had to look at that second layout cos it doesn't look digital to me!